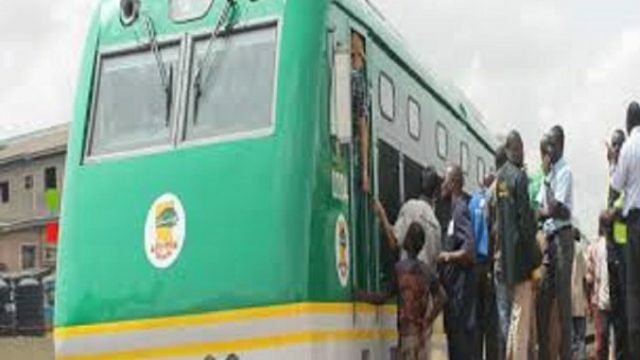 Hundreds of stranded train passengers on Sunday protested over alleged underhand dealings in the sale of tickets for the Kaduna-Abuja train service. Although the train for the 4:00pm trip to Abuja had arrived on time, passengers had formed human shield preventing entry into the departure area at Rigasa station on Sunday in Kaduna. The passengers said tickets were sold for only 10 minutes before they were told it had been exhausted. A passenger, Usman Lamin, alleged that the train station officials had sold off the over 600 tickets to touts who openly sell at double of the price. The passengers said the station manager must allow everyone to board the train and collect the fares along the way, otherwise no one will get in. Efforts to get official reaction was unsuccessful, but one of the workers at the train station said the only solution is to increase the number of train shuttles from the present two on Sundays. He said on condition of anonymity that because of the fear of travelling by road due to security concern, people going to Abuja from Kaduna are increasingly relying on the train service. As at the time of filling this report (4:10 pm) soldiers had to be deployed to the station where they barricaded places before passengers could board the train.